Australia spends more on cardiovascular diseases than on any other disease group (3). The costs of CVD amount to over 12% of all health care expenditure. In 2011, CVD was the second most burdensome disease group in Australia, causing 15% of the total $4.5 million disability-adjusted life years lost (4). Diseases of the circulatory system are also closely associated with other major chronic health conditions such as diabetes, cancer, chronic obstructive pulmonary disease and arthritis. 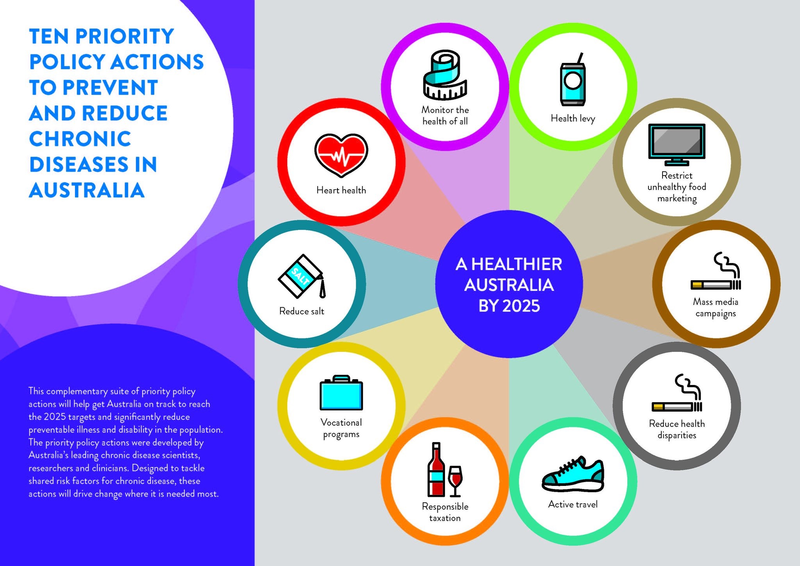 This policy paper builds upon the work of the National Vascular Disease Prevention Alliance (NVDPA) and leading Australian health researchers to reinvigorate and reinforce the case for preventing CVD and its risk factors and in turn, to reduce disability, comorbidity and premature death. 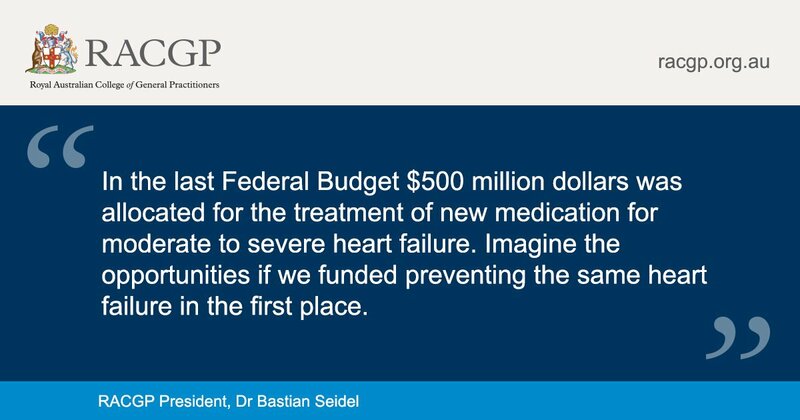 These experts agree that the most important next step that the Australian Government should take to prevent and manage CVD is promoting an Absolute Cardiovascular Risk Assessment in primary practice. ” The National Vascular Disease Prevention Alliance (NVDPA) has today supported calls for heart and stroke disease risk assessments to be embedded alongside type 2 diabetes and kidney disease risk assessment in routine GP visits for everyone over 45. The paper recommends a national investment in Absolute Cardiovascular Risk Assessment (ACVR) screening and outlines a national primary care strategy to reduce the impact of cardiovascular disease (CVD) on the community. This paper builds on the NVDPA proposal for an integrated health check for cardiovascular disease, type 2 diabetes and chronic kidney disease. NVDPA member and Stroke Foundation Chief Executive Officer Sharon McGowan said regular integrated health checks delivered by GPs will ensure people at high risk were identified and managed. 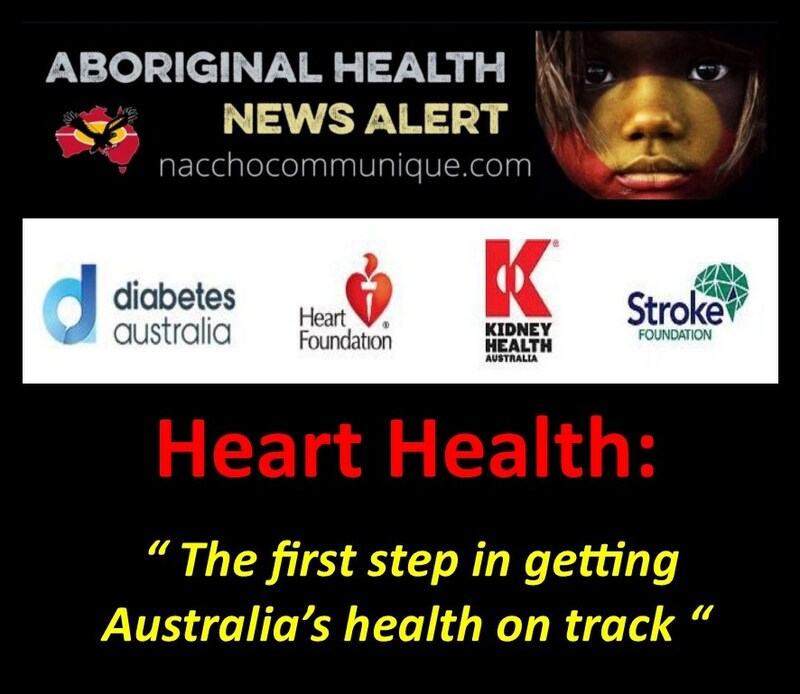 “Chronic diseases are Australia’s greatest health challenge and leading cause of illness, disability and death. However, much of this burden could be prevented through early detection and early treatment,’’ Ms McGowan said. AHPC Director Professor Rosemary Calder said embedding risk assessments into GP visits would be the single most effective strategy for chronic disease prevention. The NVDPA and AHPC both recommend that integrated risk assessments be supported by the Medicare Benefits Schedule and promoted through the community and Primary Health Networks. The AHPC Heart Health report was developed in collaboration with leading national clinical and policy experts and in consultation with the Royal Australian College of General Practice and the NVDPA. The NVDPA includes the Stroke Foundation, the National Heart Foundation, Kidney Health Australia and Diabetes Australia. 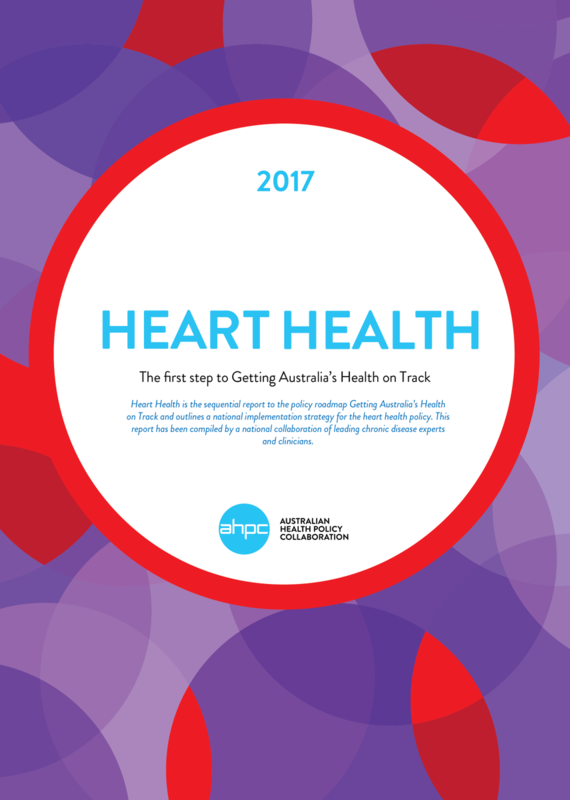 The Heart Health report follows the AHPC’s policy roadmap, Getting Australia’s Health on Track, 2016 which aims to significantly reduce preventable illness and disability.